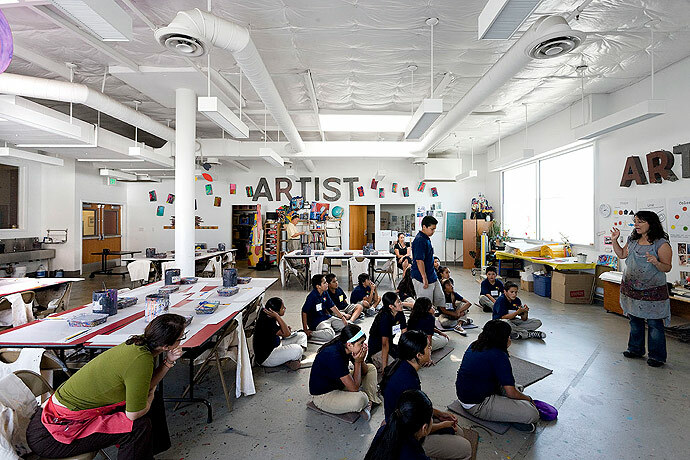 One of the most respected non-profit programs in the nation, Inner City Arts is a forward-thinking organization dedicated to arts education for at-risk youth. 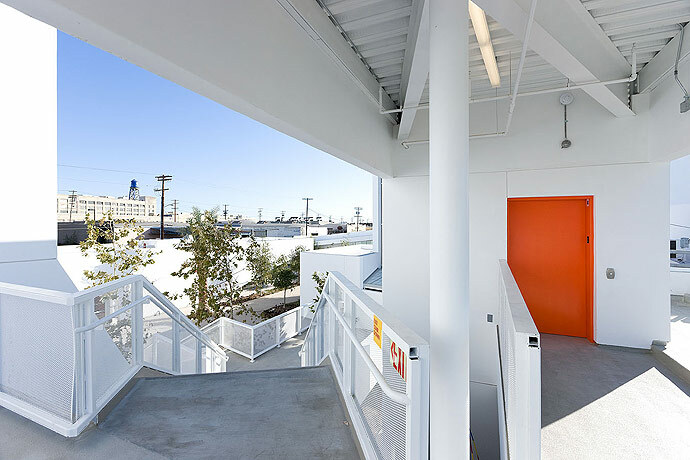 Set in the grittiest part of downtown LA’s Skid Row, this pro-bono project stretched over a number of years in three phases. 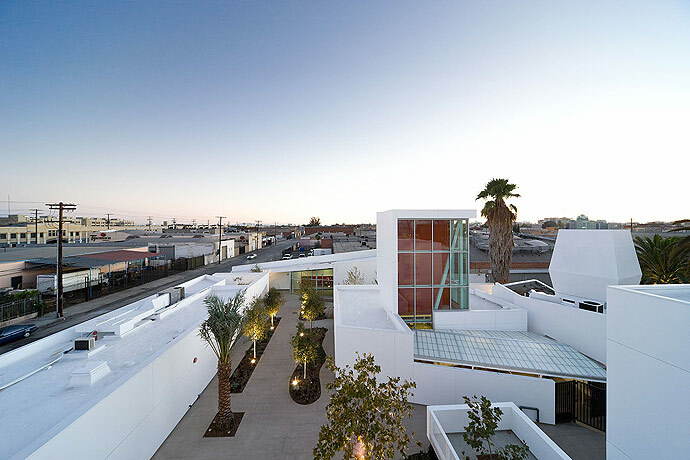 The campus consists of a collection of functionally-specific buildings (Library, Auditorium, Ceramics, Photo, Administration, and two Classroom buildings) all arrayed around a central courtyard. 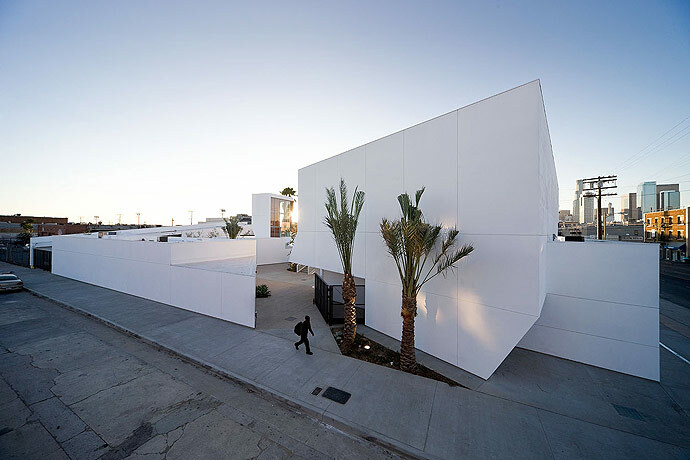 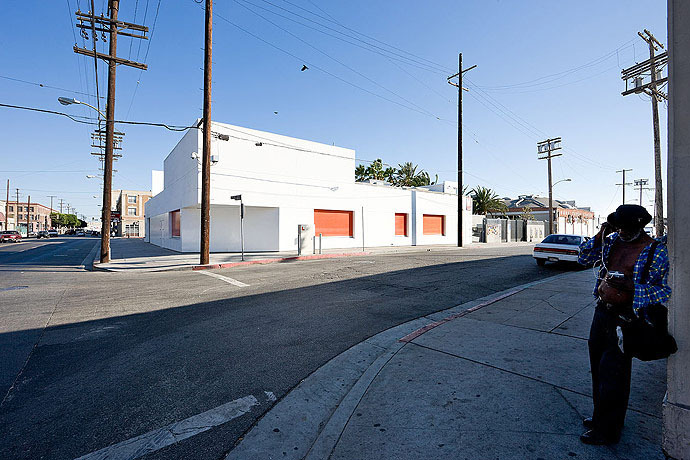 Though a white building exterior might usually invite vandalism in such a neighborhood, in fact the opposite has happened; the building has been embraced by the community as a gem of well-needed optimism, and as such is lovingly respected.